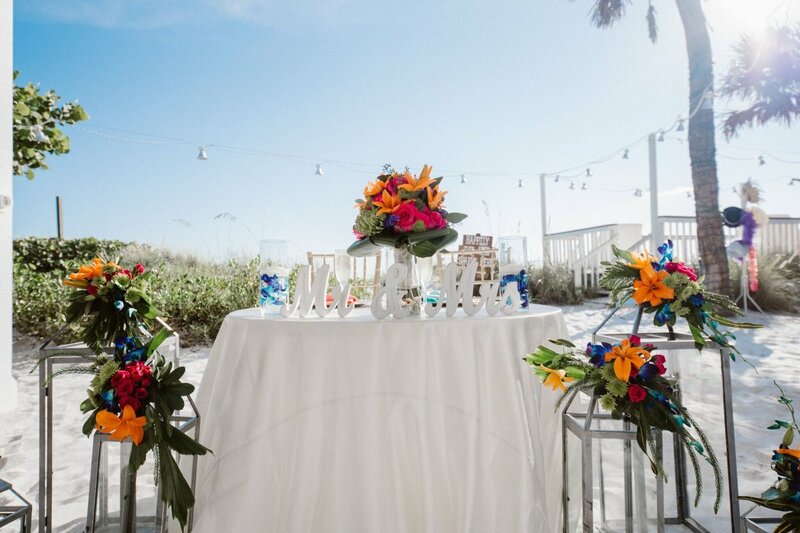 The ceremony and reception for this colorful wedding took place at the Sandbar Restaurant on beautiful Anna Maria Island. 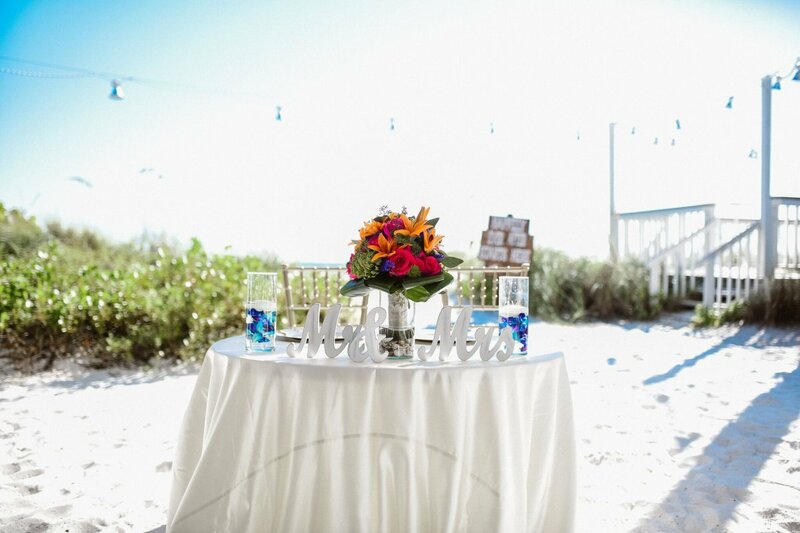 The Sandbar does loads of weddings as they are right out on the sandy beach. 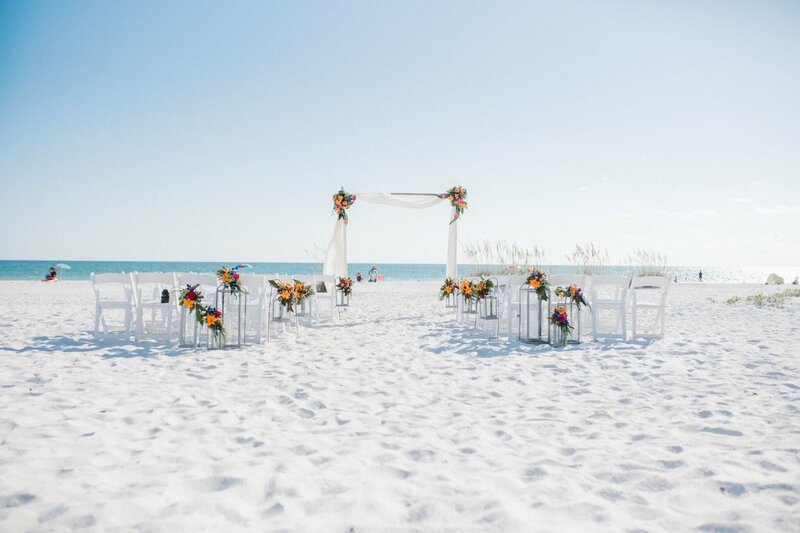 You can have a beautiful beach ceremony plus they have a unique open air pavilion right on the beach for a reception if you choose! 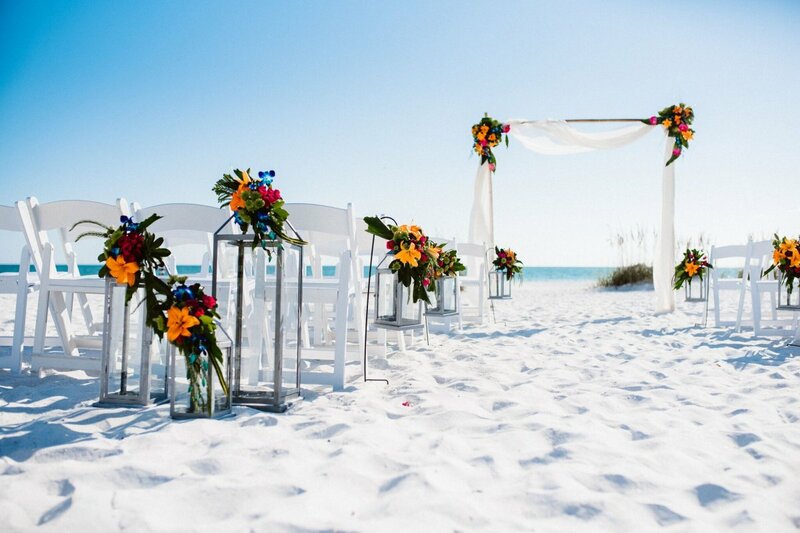 The ultra-white sand of the beach makes a stunning backdrop for any wedding! 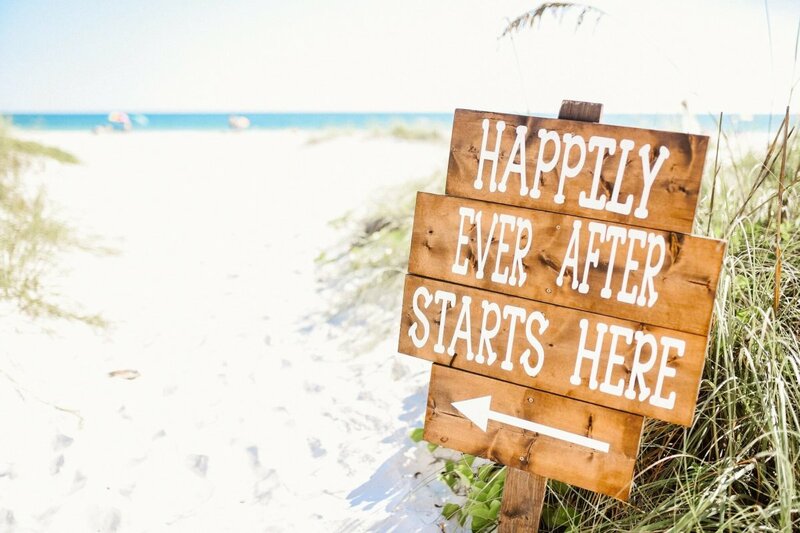 We have been honored to do many weddings there, and we have also had the joy of doing several UK brides’ weddings there…how fun is that? 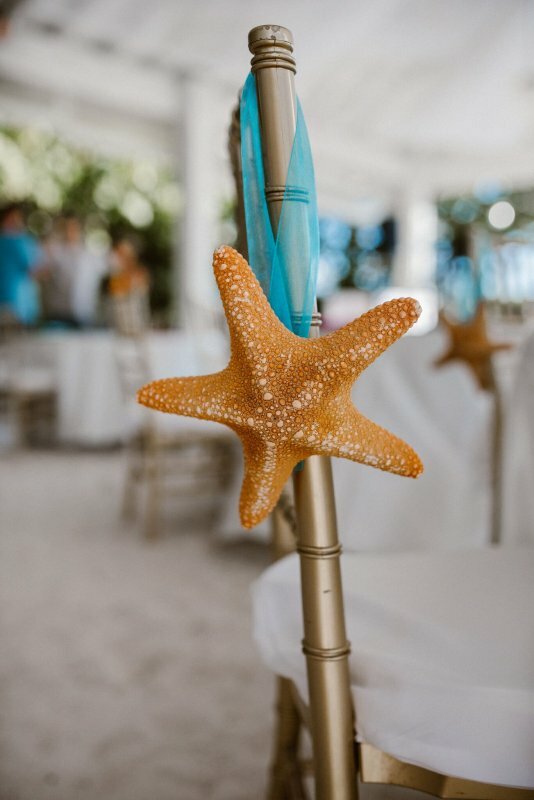 We do not have many venues with this sort of combination (both ceremony and reception on the beach), so when the UK and other brides are searching for beach weddings, the Sandbar is a top pick! 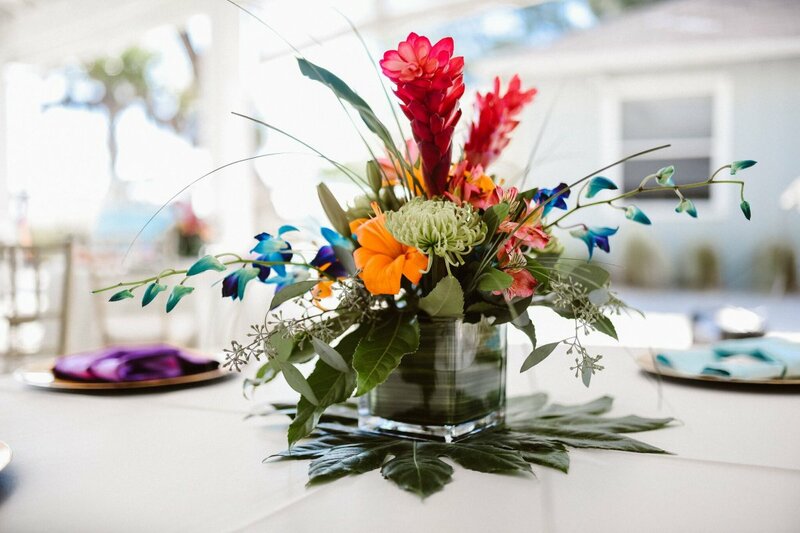 This wedding was all about being tropical! 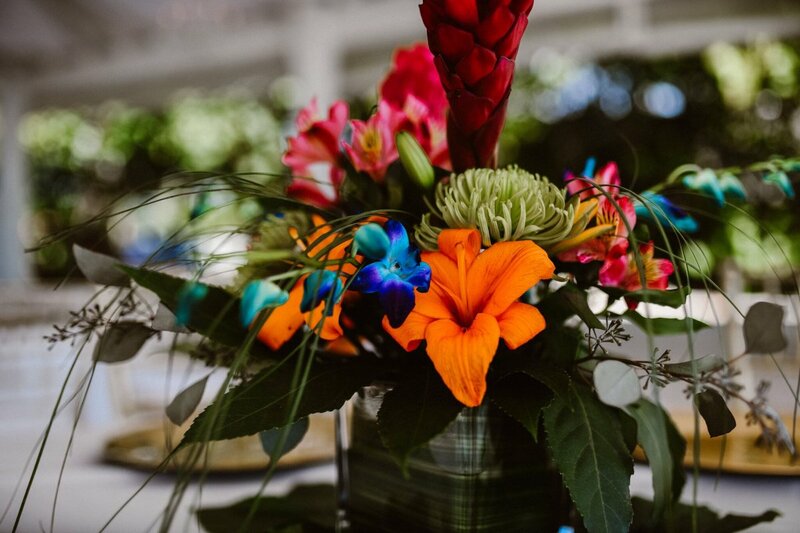 We provided a bamboo arch for the ceremony and decorated it with blue orchids, hot pink roses, orange lilies, and green fugi with tropical greens. 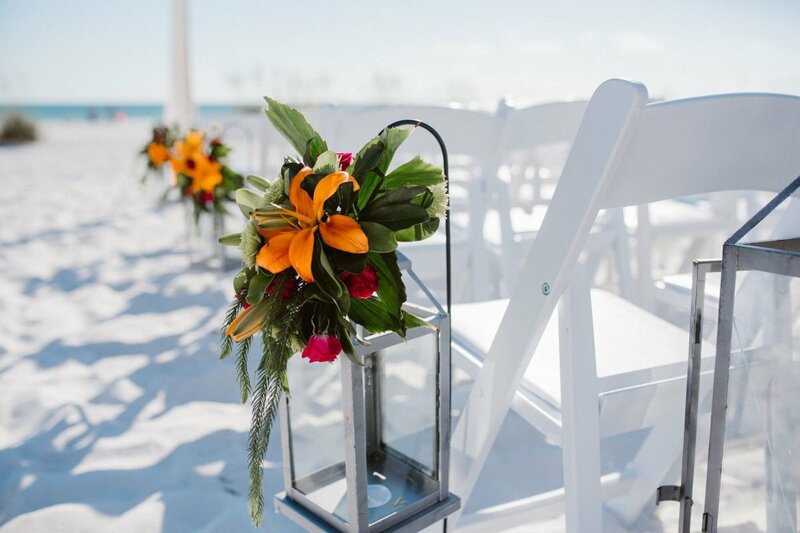 The aisle was lined with silver lanterns on shepherd hooks with more beautiful tropical flowers on top. These lanterns were later moved to the guest tables for some double duty. 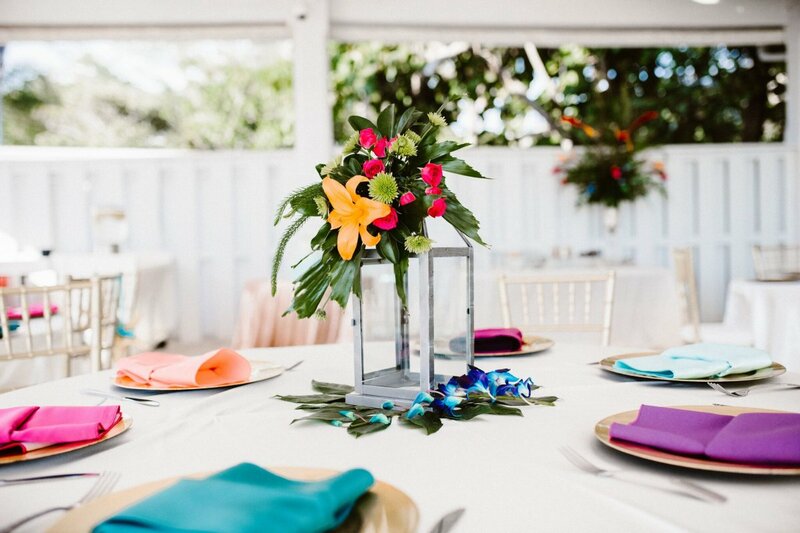 When on the guest tables, the lanterns were placed on a large tropical monstra leaf with a few extra blue orchids scattered on the table. 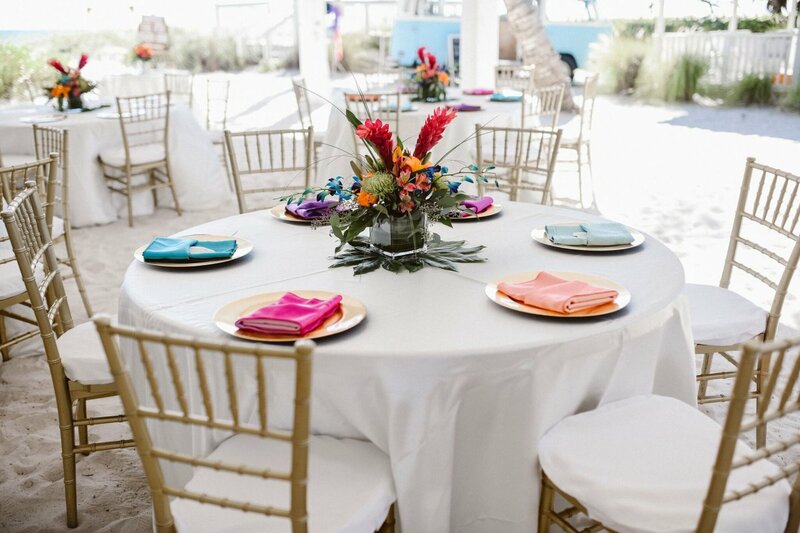 The colors were so vibrant and hit the perfect tropical note for this wedding! At the back of the aisle, we used 2 sets of silver lanterns with flowers that were moved to either side of the sweetheart table for the bride and groom. Additionally, the bride placed her bridal bouquet of similar-colored flowers on the sweetheart table which provided more lush gorgeous color! 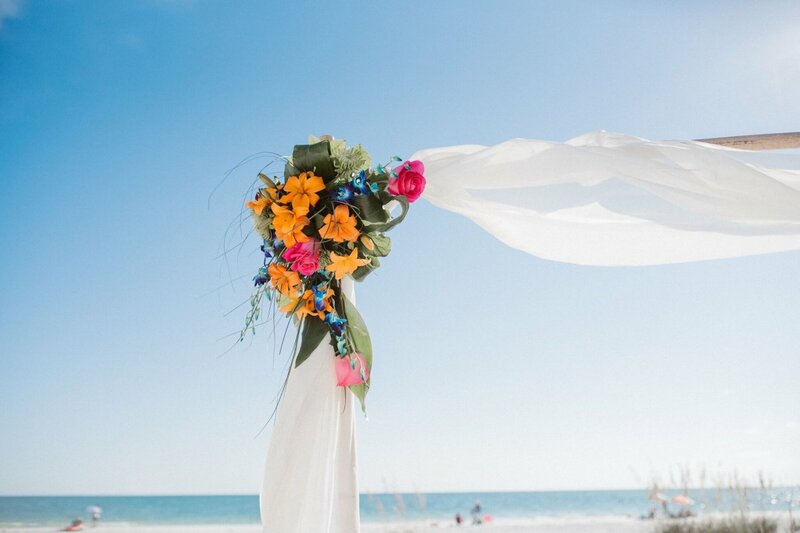 If you are looking for a florist in the Sarasota-Bradenton area to help you plan your dream wedding, contact us today. We would be thrilled to work with you.